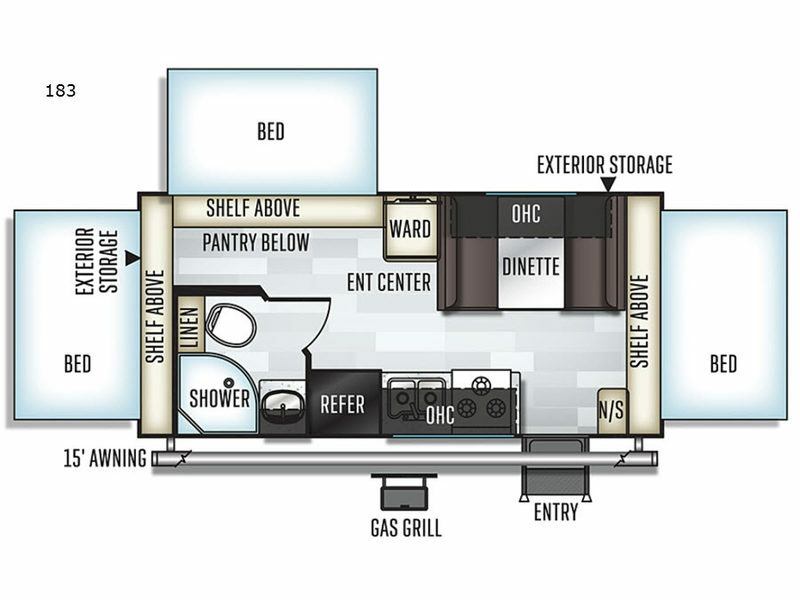 Searching for a travel trailer that will allow you to sleep seven family members, and feed them while enjoying the great outdoors? 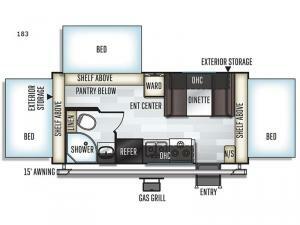 This expandable offers triple tent end beds, plus a booth dinette to accommodate your nighttime needs. You can make meals with the appliances provided, as well as cook burgers on the gas grill outside. Whether you are looking inside the unit or outside for storage, there are plenty of places for your food, linens, and camping gear. No worries about staying clean, the full bathroom has you covered. Now imagine the whole family hanging out by the campfire, and playing games under the power awning. Stop your search!